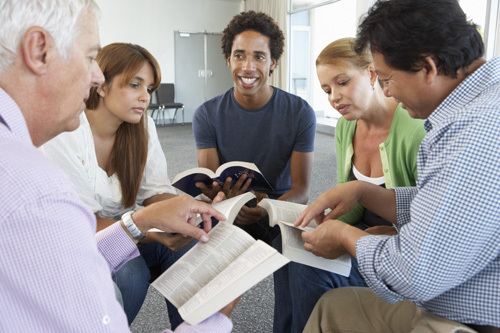 If you are part of a smaller worship group or congregation, a great way to remain connected with members that are not able to attend in person is to host a conference call. This will help to keep these members as part of your community. Maybe you are part of a daily or weekly prayer group if so, a conference call is a great way to bring everyone together, whatever their location. These calls can be recorded and shared with members. All of this can help your religious group to engage with current members and connect with new members. A conference call for your religious group can be put on for up to three hundred members. Members do not need any special equipment to connect to your call. A touchtone landline or cell phone is both suitable for joining your call. If you intend recording a religious service in your church, consulting with an audio expert will help to ensure the call is correctly recorded. During the service engage with the members on the conference call to make them feel part of the service. An audience that's not engaged will not act. Ensure they can hear the service, address them, speak to them and make the event for all members. Before a service let the members that will be dialing in know in advance the time, date, number to dial in and the code for the conference. This will help them dial in as soon as the service is going to start and input the code for the conference to join the service. Your members will have the choice of listening to the recordings either via the internet or by dialing into a specific number to hear the recording. One option to help increase the reach of your service is to utilize the recordings to create podcasts. Adding a custom greeting will give you the option of including the name of your organization to the beginning of the recording. There's also the option to include any other information you would like included at the beginning of the call recording. You can record the greeting or announcement yourself, or if you prefer not to, you have the option of hiring a professional voice-over artist. This will add a more professional element to the recordings of your services. The opportunities and possibilities for your religious group are endless when it comes to providing an engaging experience for members of your worship group or congregation. Host unlimited conference calls using local access from 20+ countries. Excellent call quality and secure network infrastructure. What You Need to Know About a PBX Phone System!